This Salted Caramel Skillet Cookie Recipe is much like a Pizookie. 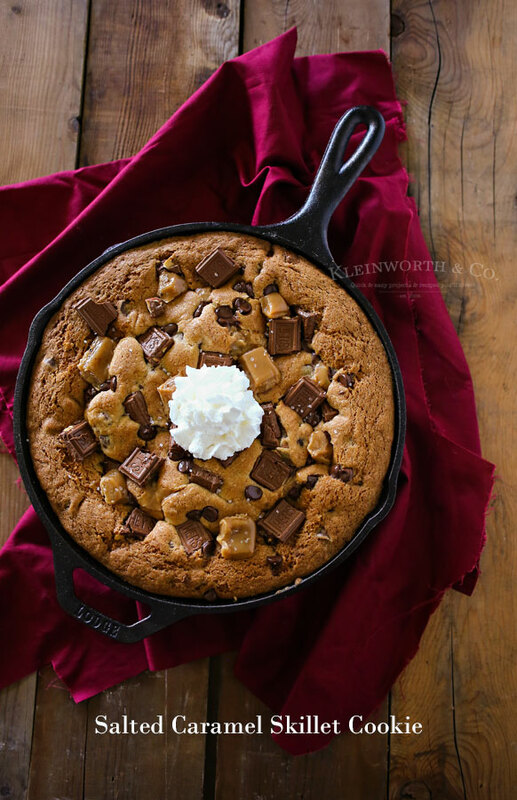 A giant, thick & chewy chocolate chip cookie baked in an iron skillet with salted caramel. Hello, there my 36th Avenue friends. It’s Gina from Kleinworth & Co. I have a little confession to make. 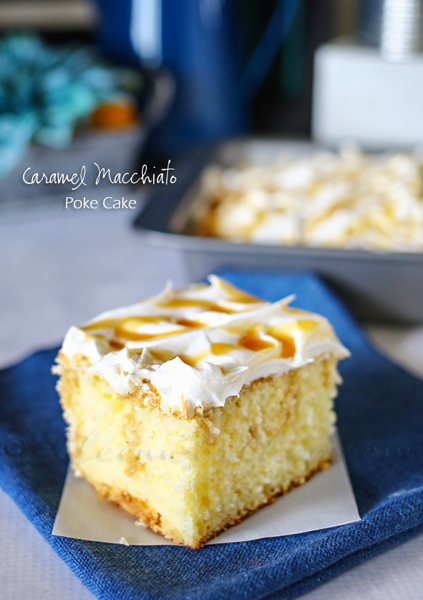 I can’t get enough of salted caramel. I get so excited this time of year because I can find so many places offering salted caramel drinks & goodies. It makes my heart go pitter-patter. But sometimes grabbing that wonderful flavor when I’m out running errands doesn’t quite satisfy the craving. 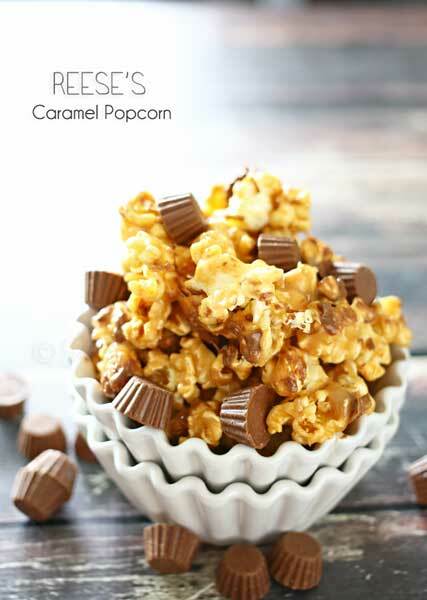 So I find myself coming up with new & creative recipes to enjoy it a little more often. Like when I made this Salted Caramel Skillet Cookie Recipe. It’s just like my favorite chocolate chip skillet cookie, but I added a whole lot of homemade caramel pieces & coarse sea salt. I can tell you, this is by far my favorite skillet cookie I have made to date. It was oooey, gooey & oh so delicious. That salty sweet combo just made me swoon. In fact, I have made it several more times since I took this picture of the first one. I couldn’t help myself, it was incredible. Did I mention that it was super easy to make too? Yep! Just mix, dump, bake & ENJOY! I suppose that’s why I love these so much. They make treat making so simple & it’s a dessert we all enjoy together as a family. It’s so much fun to gather around the table, all with spoons in hand & dive in until we are all bursting at the seams & the skillet is empty. 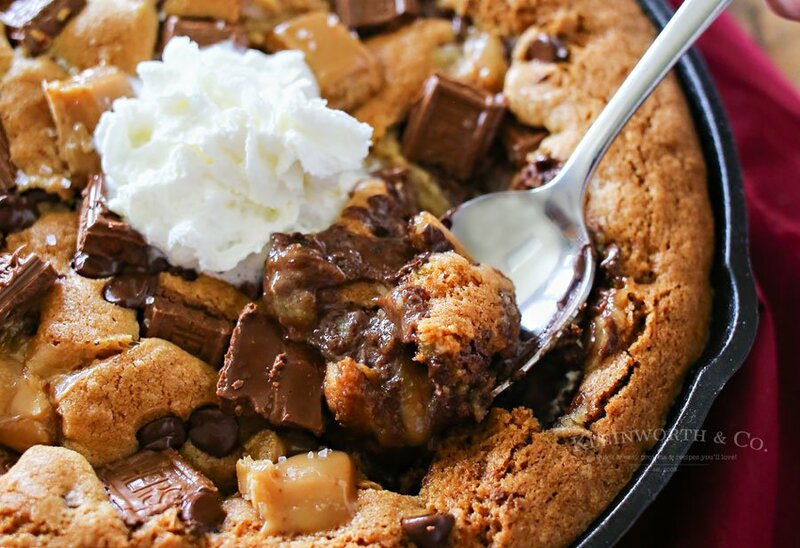 Salted Caramel Skillet Cookie is much like a Pizookie. A giant, thick & chewy chocolate chip cookie baked in an iron skillet with salted caramel. If you like it a little more cooked through, bake for 35-40 minutes. This is one over the top dessert they will beg for again & again. Top with ice cream or whopped cream for added goodness! 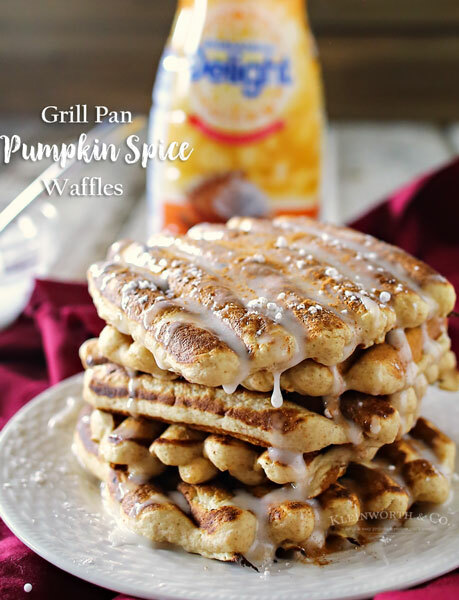 Looking for more of our favorite fall recipes? Gina is a mom to 3, wife to a fire chief, photographer & homeschooler. Within the last year she relocated with her family to Northern Idaho after 12 long years living in various parts of the Nevada desert. Gina is a Southern California beach native with a passion for food photography, blogging, baking & getting crafty with re-purposing & up-cycling on a budget.